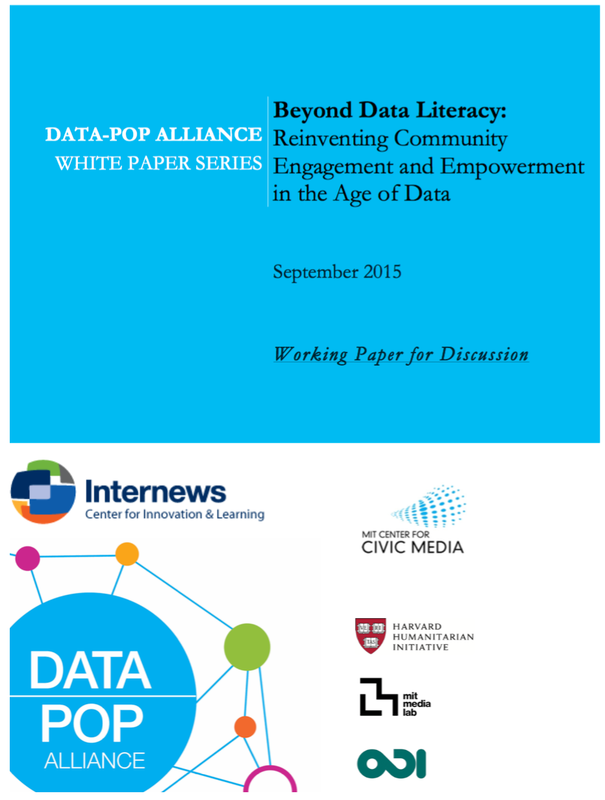 The Data-Pop Alliance recently released a “working draft” of a white-paper I co-authored: Beyond Data Literacy: Reinventing Community Engagement and Empowerment in the Age of Data. The paper is a collaboration with folks there, and at Internews, and attempts to put the nascent term “data literacy” in historical context and project forward to future uses and the role of data in culture and community. Data-Pop published some of the presentation on their blog. The paper begin with some history – focusing on the anthropologist Claude Lévi-Strauss and his ideas about literacy being used as a weapon of those in power to ensure and educated work populace. We move into an argument about “literacy in the age of data” being a better way to start asking questions that “data literacy”. As I talk about often, we focus on how data should serve the purpose of greater social inclusion. This requires a focus on the words we use to talk about this stuff (is. “information” or “data”?). This is all built on a definition of data literacy that includes the “desire and ability to constructively engage in society through and about data”. If you’re interested in some academic reading about the history and potential of this type of work, give it a read! It will be especially relevant to those trying to craft policies or programs that support building people’s capacity to work with data to create change.